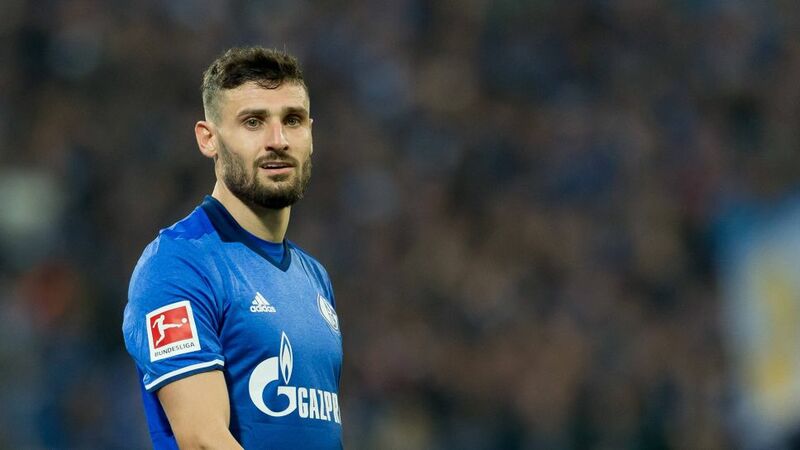 Bundesliga | Schalke's Daniel Caligiuri: "We all know how much the Revierderby means to our fans!" Schalke's Daniel Caligiuri: "We all know how much the Revierderby means to our fans!" After getting the goal that propelled Schalke up to second in the Bundesliga standings on Matchday 12, right-sided specialist Daniel Caligiuri has now shifted his attentions to Saturday's Revierderby with fierce local rivals Borussia Dortmund (kick-off 15:30CET/14:30GMT). Daniel Caligiuri: I've taken it upon myself to be more of a threat going forward. I saw the gaps and tried to exploit them. If a player runs at you with pace, it’s very difficult to defend against (laughs). I'm no slouch. I went for it, and it paid off with a goal. It gave us breathing space. Question: Did you know at the time that the goal would send Schalke into second place? Caligiuri: No, I didn't find that out until after the game. Until the referee blew the final whistle, we were focused purely on the game. After that, you're busy celebrating the win. We're delighted to be second, but now the focus is on BVB. Question: Had you already been thinking about the derby? Caligiuri: No, I hadn't given it a thought. When I'm on the pitch, I'm only thinking about the game in hand and my job. And as I said: after the game, we were all caught up in our performance. We'll analyse the game. After that, all that matters is Dortmund. Question: It's only a snapshot in time, but how does it feel to be second in the table? Caligiuri: Obviously, we're delighted. You can see how we always play as a team. We'll continue to make progress, because we're still not quite at 100 per cent. We've a few tough weeks ahead. We'll continue to try to learn from our mistakes and improve. Question: Can the way you're playing as a team still improve? Caligiuri: Absolutely! But we knew it'd be a tough fight against HSV. They fight for every ball and try to play on the counter. You have to show you can also fight and not just play. There have definitely been games where we've played better, but first the attitude has to be right. Question: Two key players in Leon Goretzka and Nabil Bentaleb were missing against HSV. How much confidence does it give you to have won so convincingly without them? Caligiuri: It's always a blow when two top players miss out, but you can see what a good, close squad we have. Every player is ready to jump in and do their bit. Weston McKennie and Max Meyer were dominant in the middle of the park. Obviously we're delighted about that! Question: Were you surprised when Franco Di Santo grabbed the ball, ready to take the penalty, or had you discussed it? Caligiuri: No, we hadn't talked about it. I'd have liked to have taken the penalty, too, but Franco was confident and said he'd stick it away. I told him he better had. That's what he did. Question: Was the battling nature of the game good preparation for the derby against Dortmund on Saturday? Caligiuri: We all know how much the game means to our fans. It'll be a real battle, without a doubt. We'll embrace it and try to prepare as best we can so that we give as good as we get. Then we'll see what happens. Question: Is Dortmund's poor form something you've thought about as a team? Caligiuri: We're well aware that Dortmund have only picked up one point in their last five games. That's not good enough by the club’s own standards, but we've all been there at some point. We need to keep the focus on us if we want to go there and put in a good performance. Caligiuri: (Laughs) We'd rather leave Bayern to it. As I said, we're taking it game by game. The points will come. Click here for the Borussia Dortmund vs. Schalke Match Centre!